This test has ten problems: four multiple choice, three fill in the blanks, and three drag-and-drop problems. Get as much practice as possible adding integers in this fun math activity. 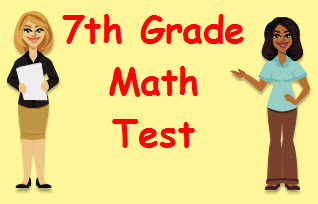 Apply and extend previous understandings of addition and subtraction to add and subtract rational numbers; represent addition and subtraction on a horizontal or vertical number line diagram. .
Return from this Adding Integers Math Test to the Middle School Math Tests , 7th Grade Math Tests webpage, or to Math Tests.